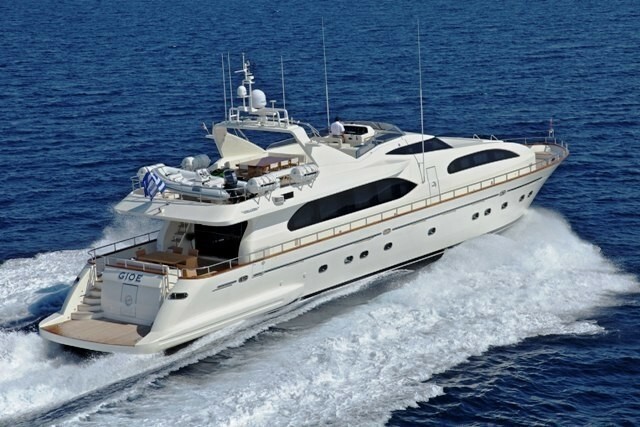 Luxury Motor Yacht GIOE is a 31m Falcon launched in 2008. 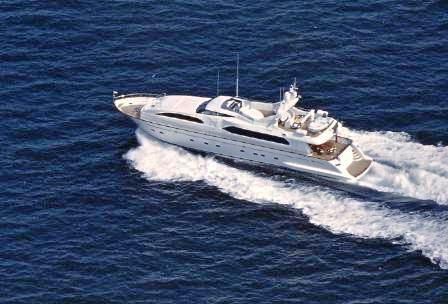 She offers all the typical FALCON traits including original layout, spacious design and plenty of functional ability. 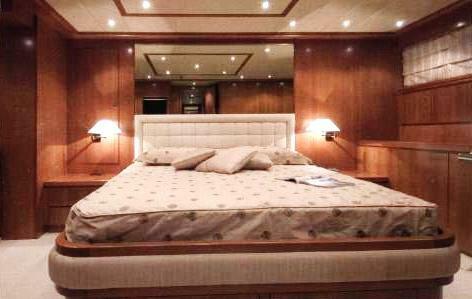 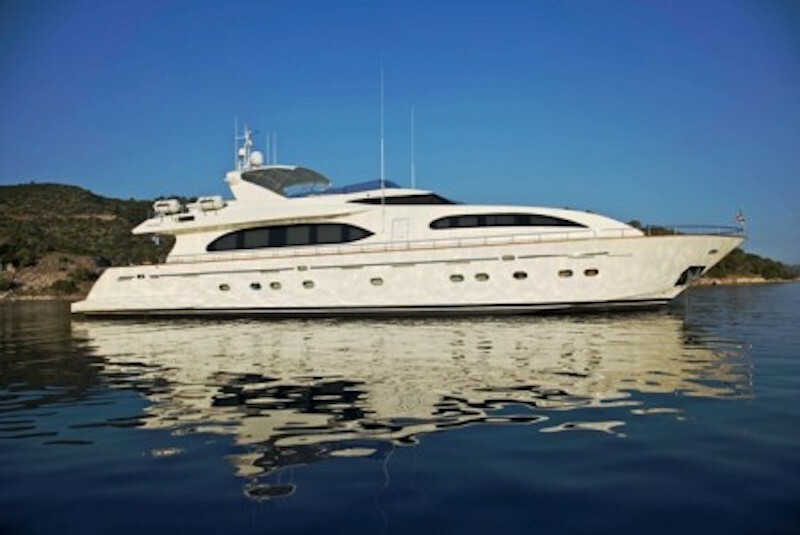 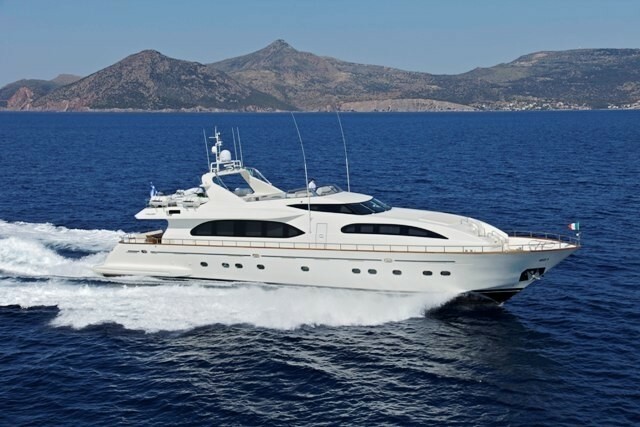 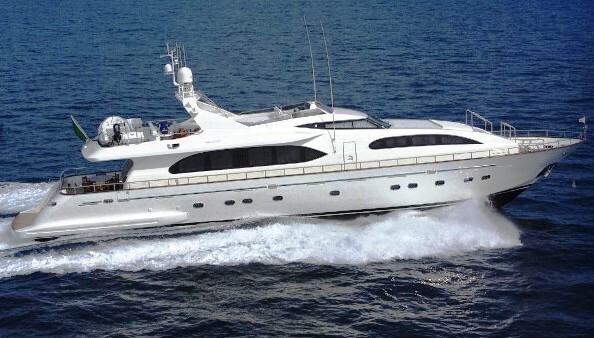 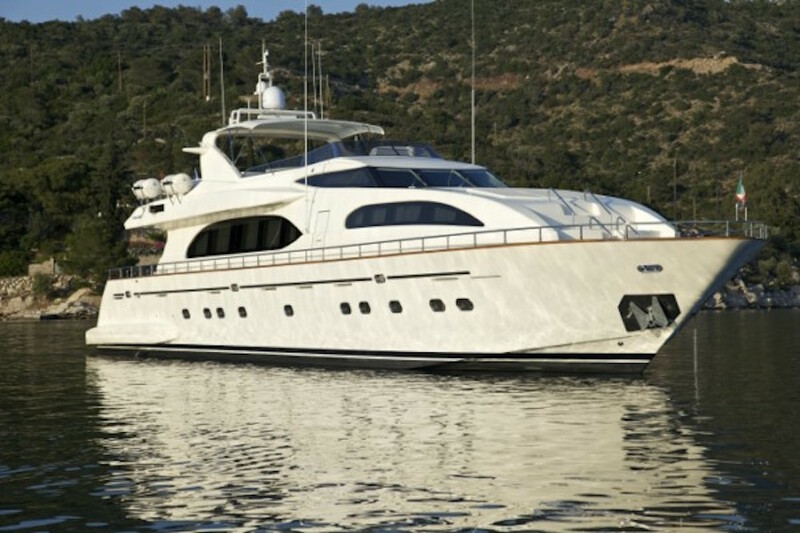 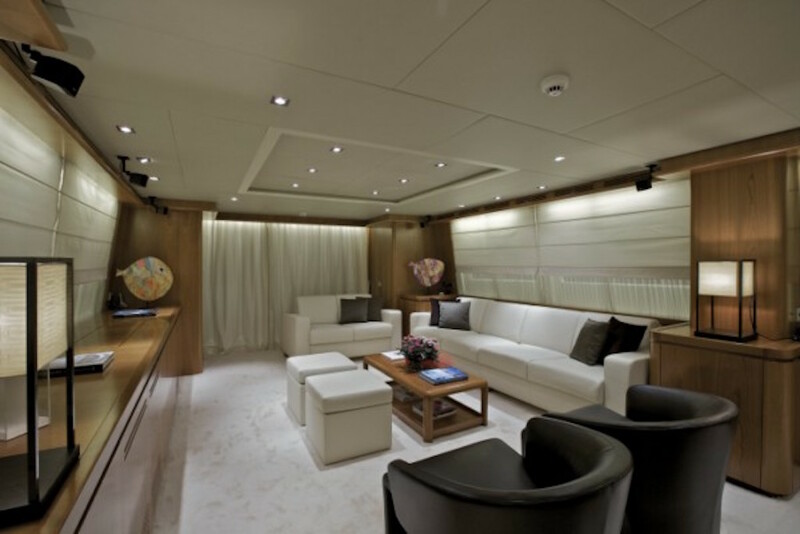 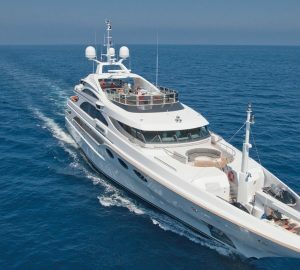 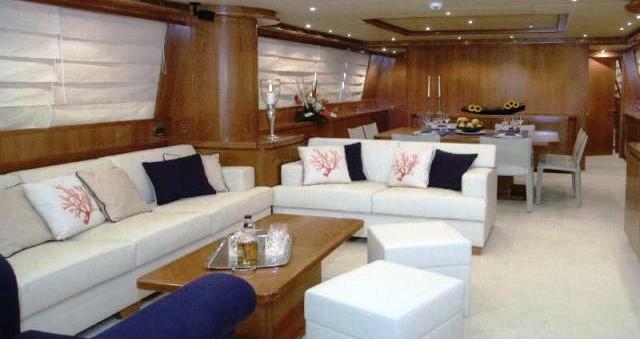 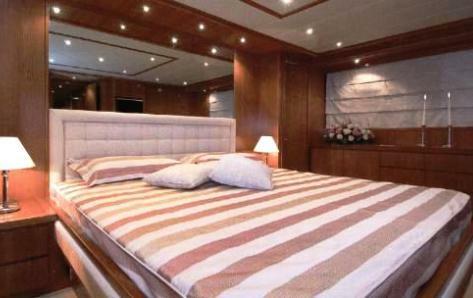 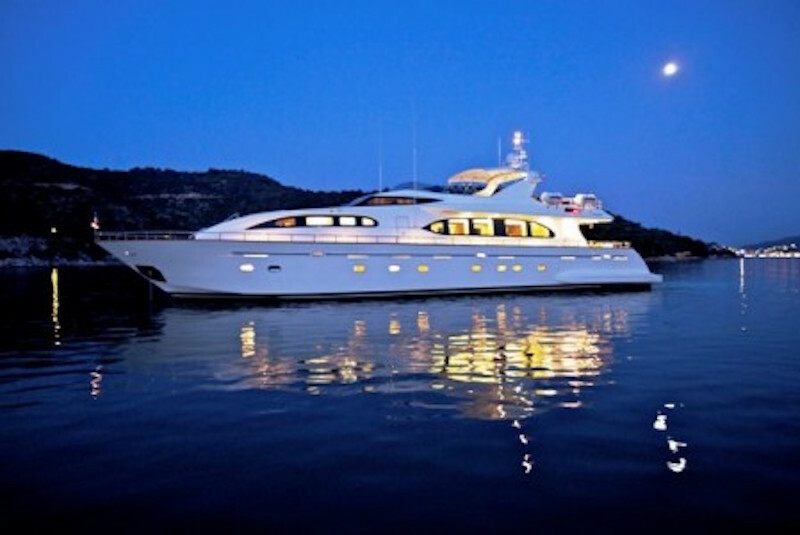 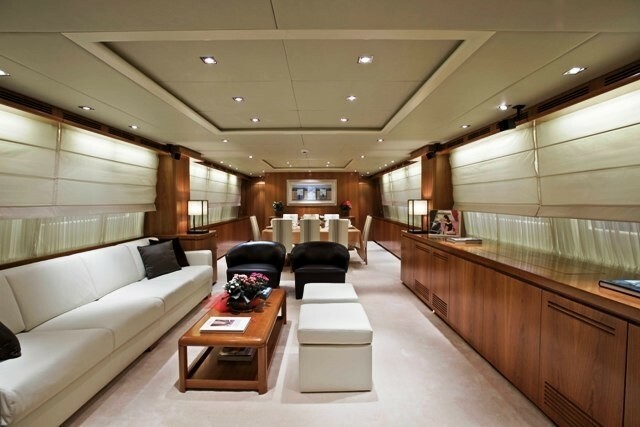 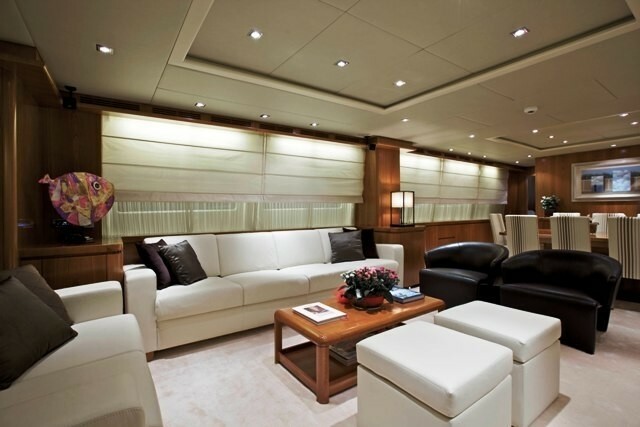 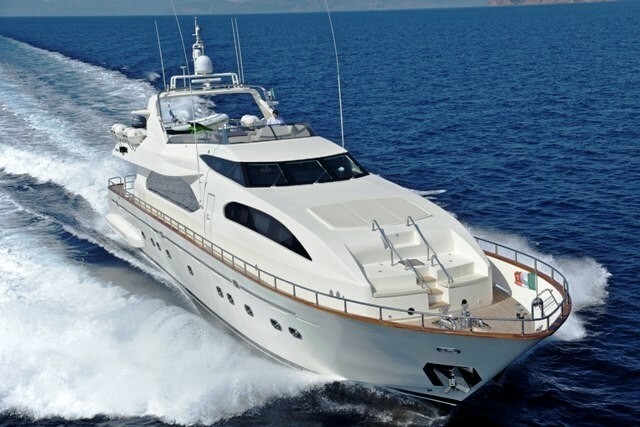 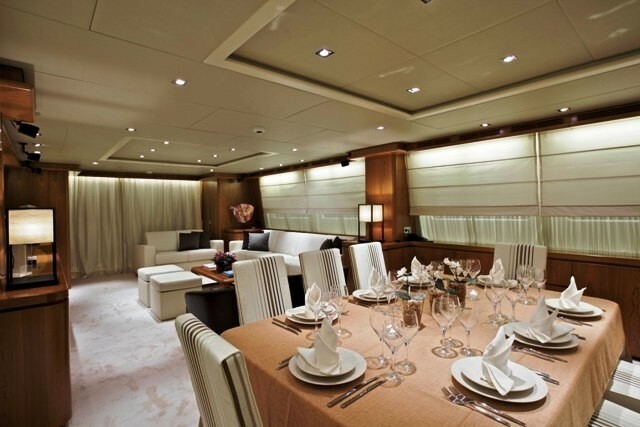 This Greek charter yacht accommodates ten guests in five spacious cabins. 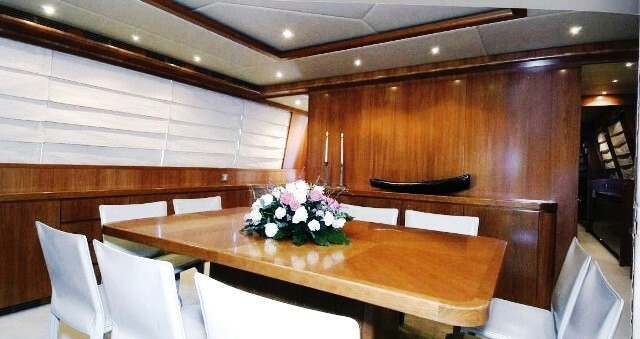 She offers a spacious salon with open formal dining and long streamline windows to allow plenty of natural light inside. 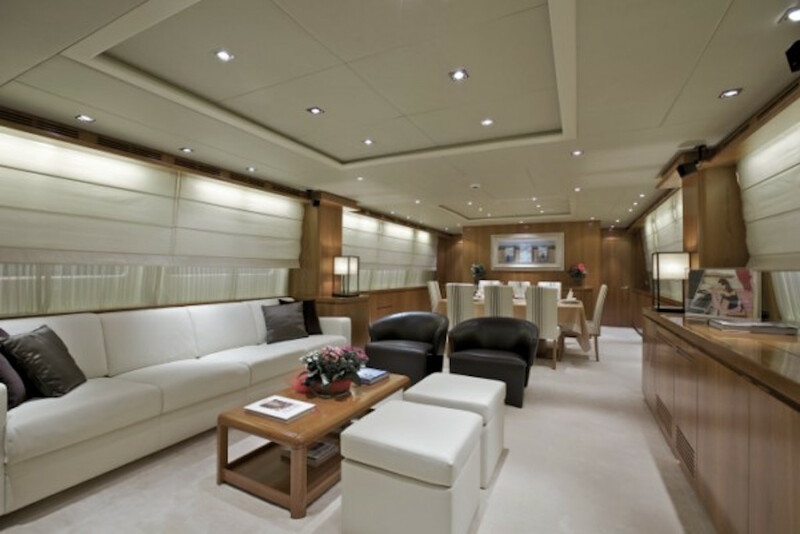 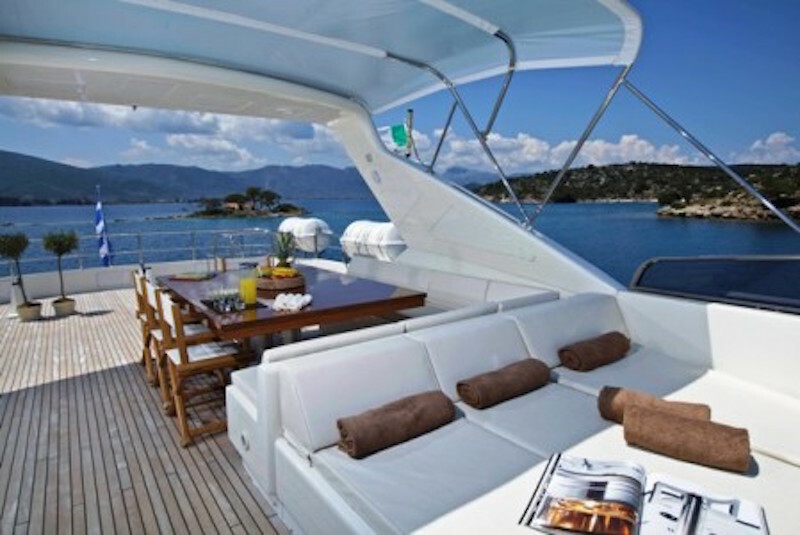 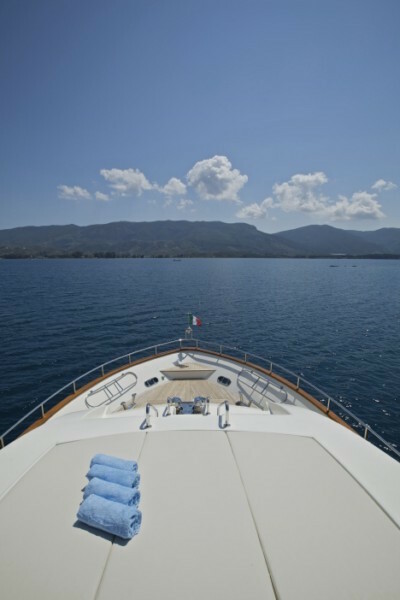 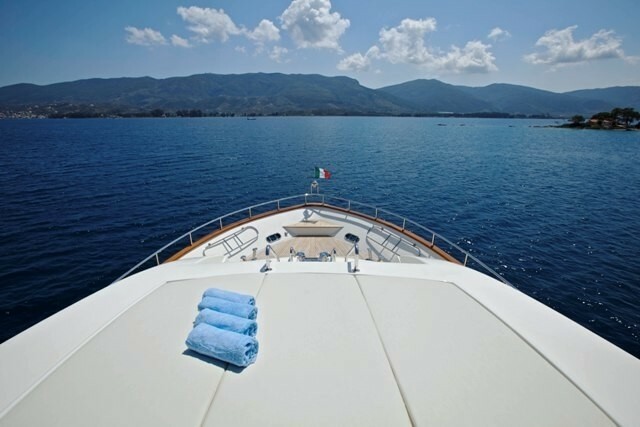 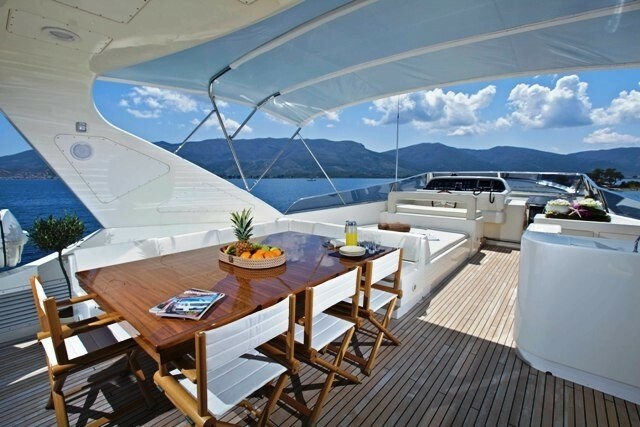 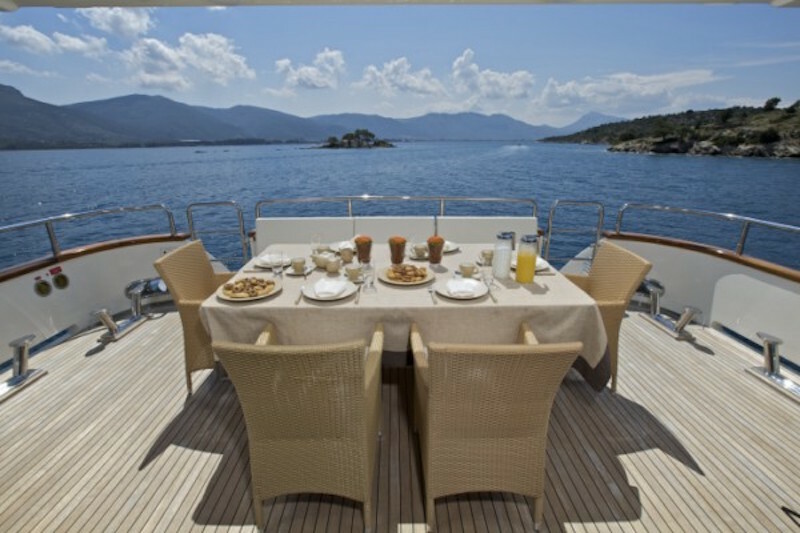 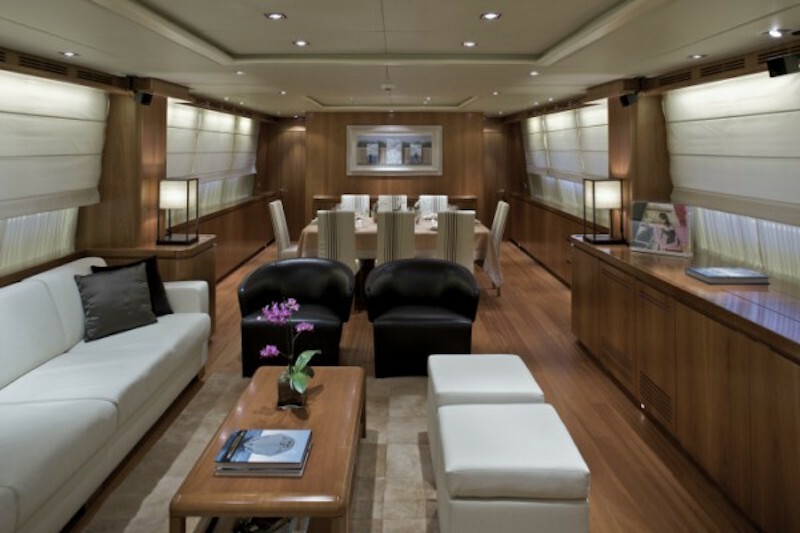 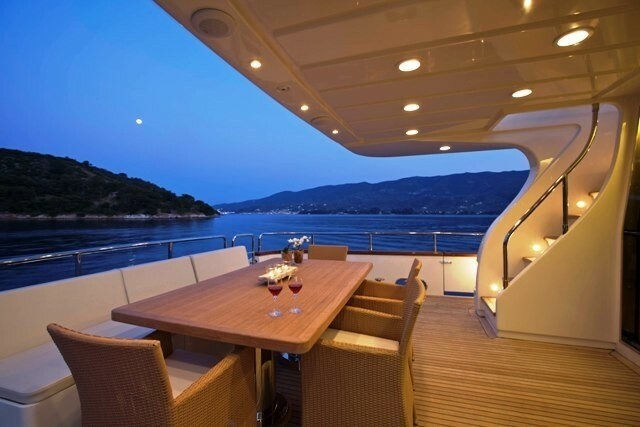 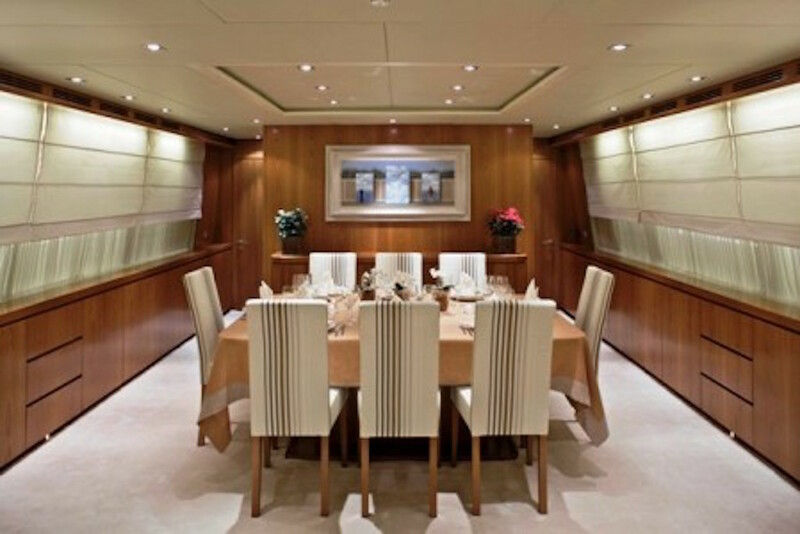 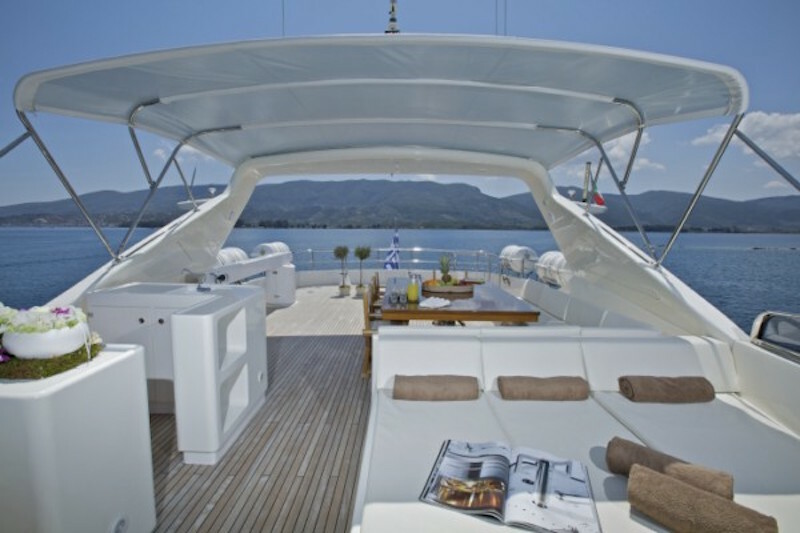 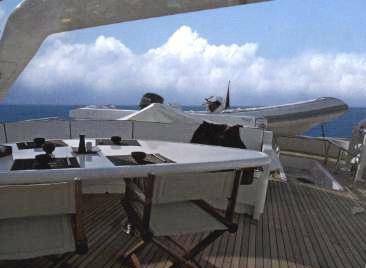 Her decks are well designed with alfresco dining available on the main aft deck and the sundeck. GIOE offers a range of additional features including WIFI internet, an extensive range of water toys and a wide variety of entertainment facilities. 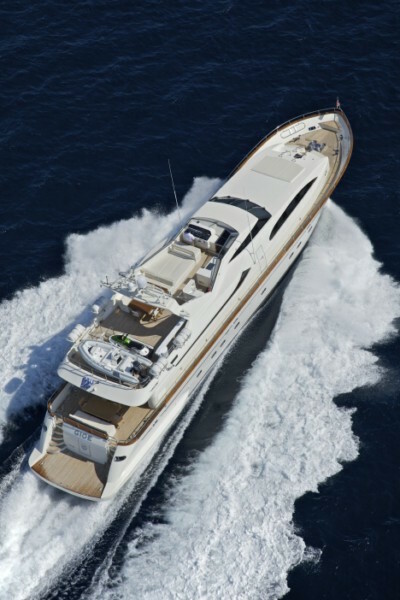 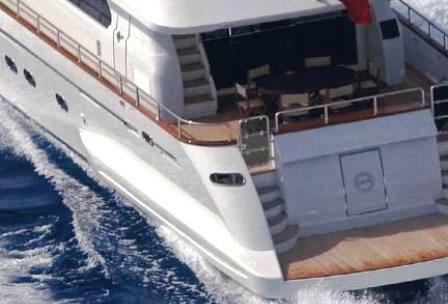 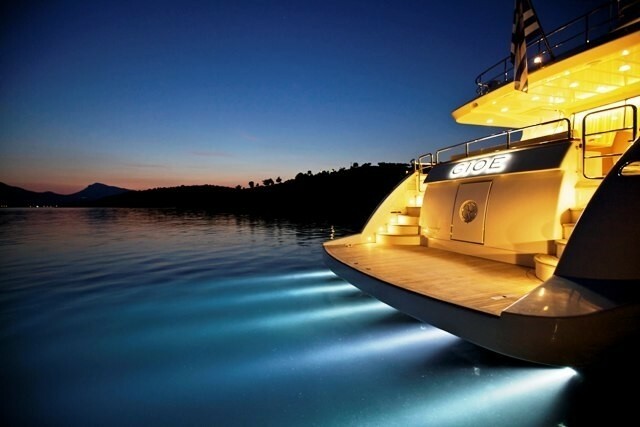 With a fast cruising speed of 24 knots, GIOE is the ideal Greek cruising charter yacht. 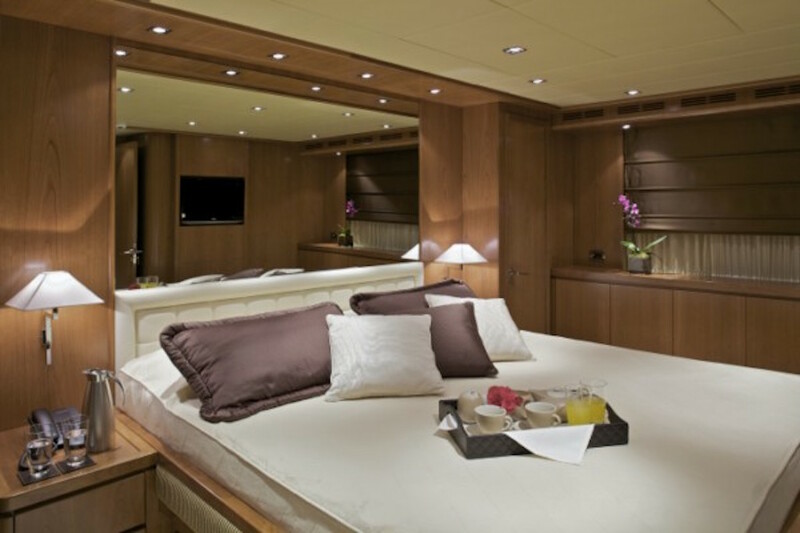 GIOE offers accommodation for up to 10-12 guests. 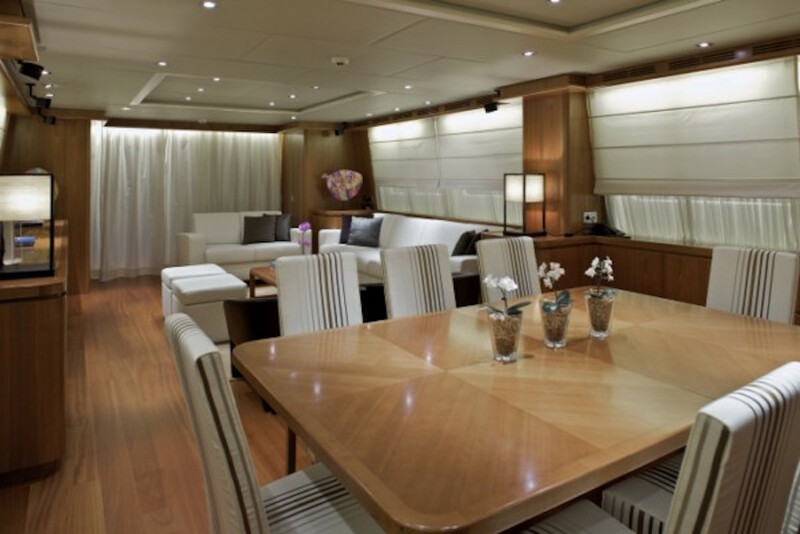 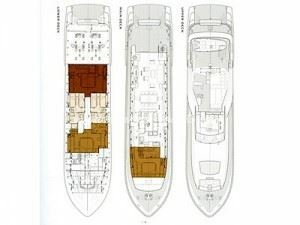 The VIP suite is on the main deck and on the lower deck there is a master, second VIP cabin and two twin cabins each with an extra Pullman berth. 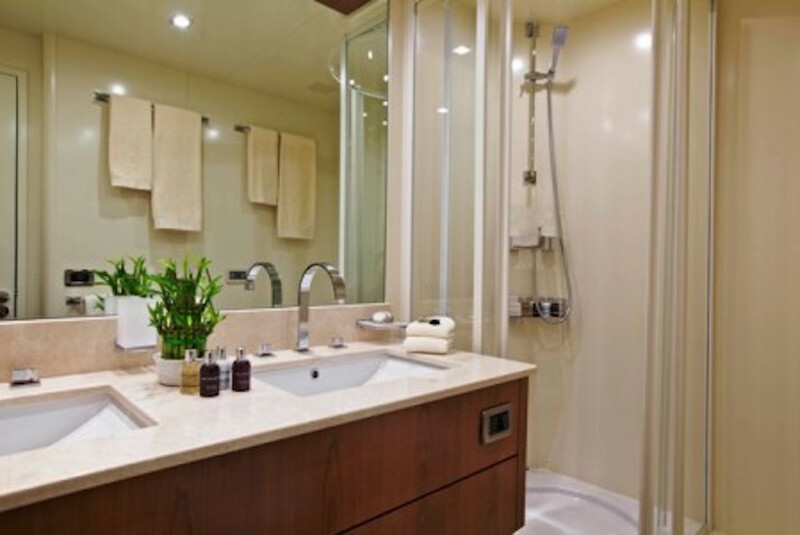 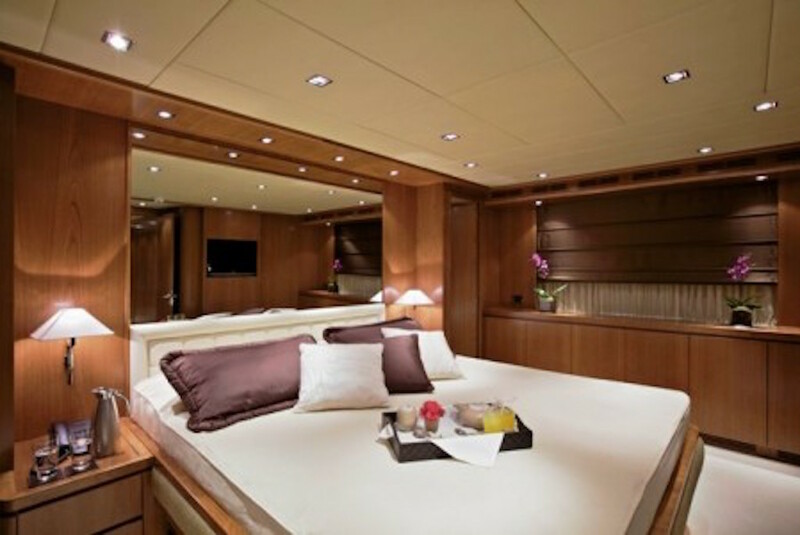 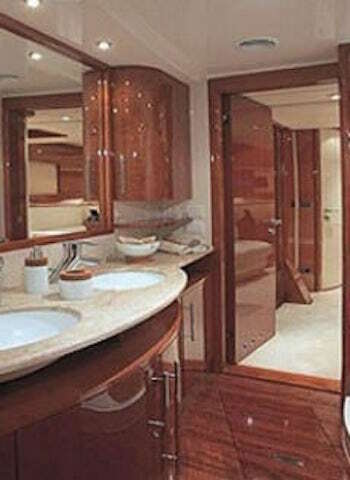 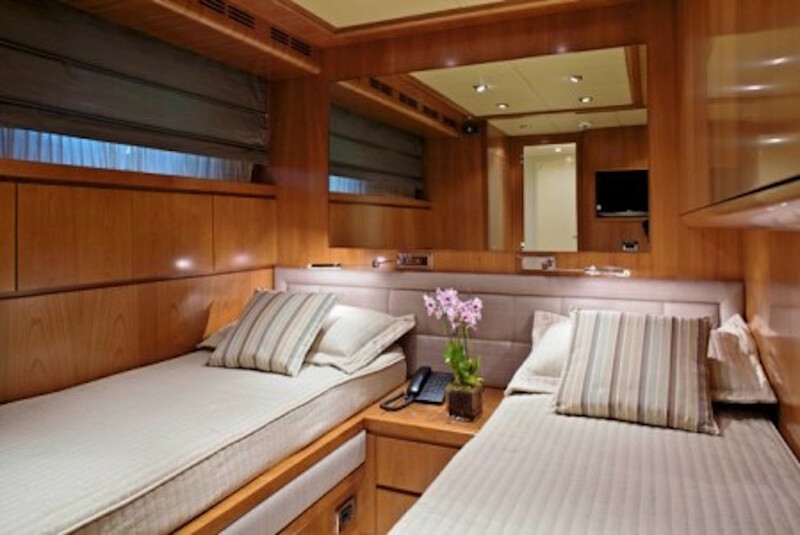 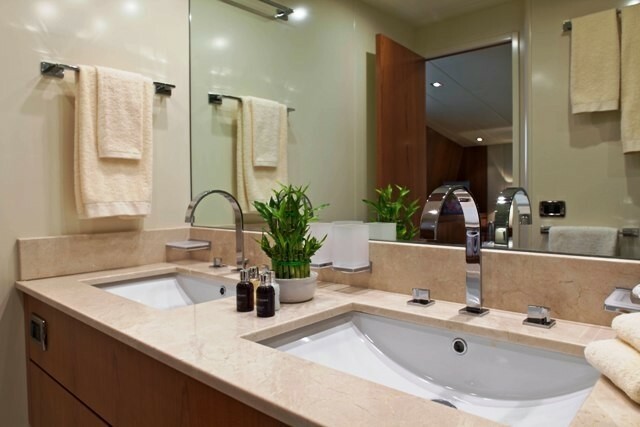 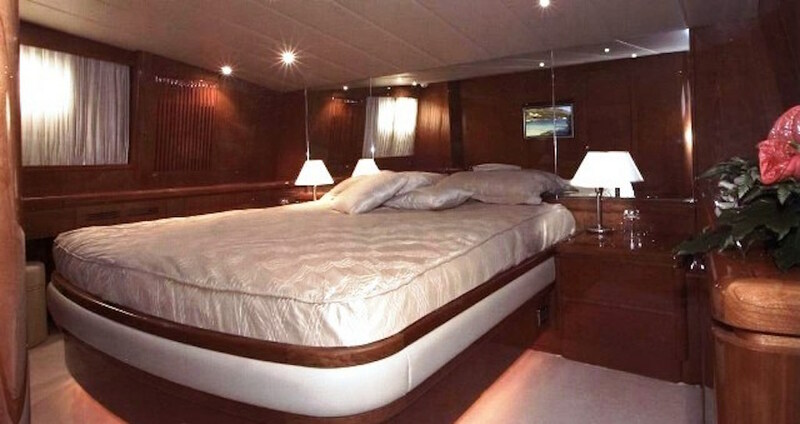 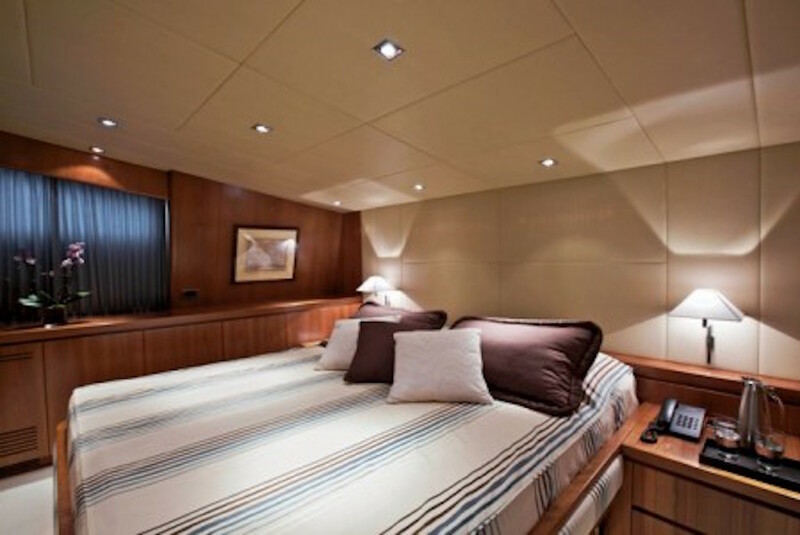 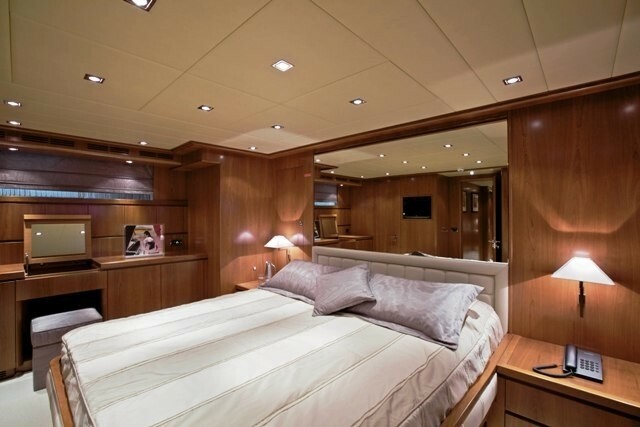 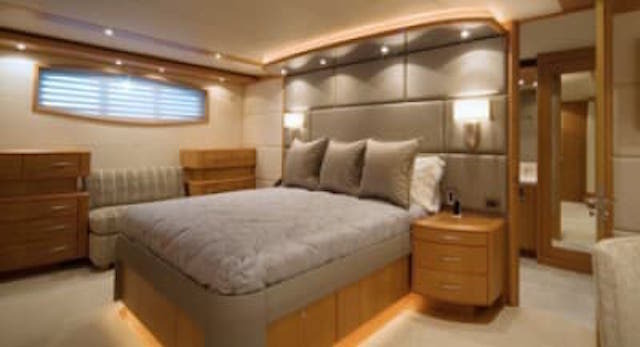 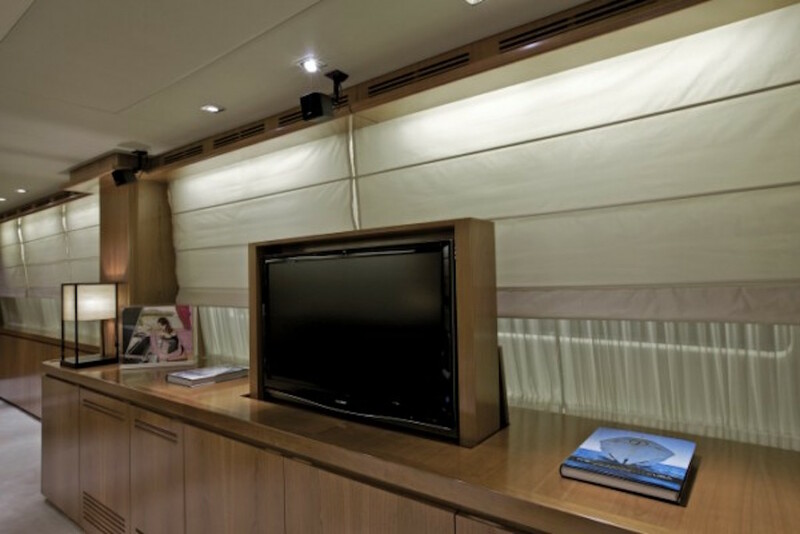 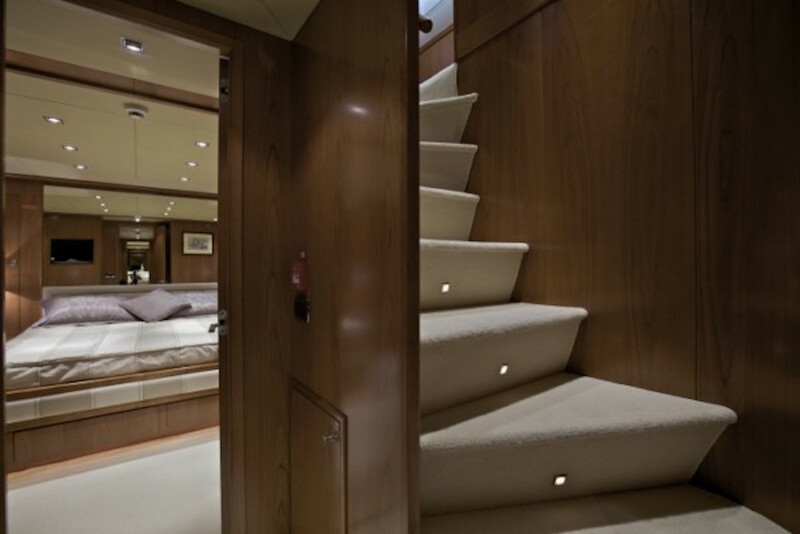 All cabins are fitted with wardrobes and ensuite bathrooms. 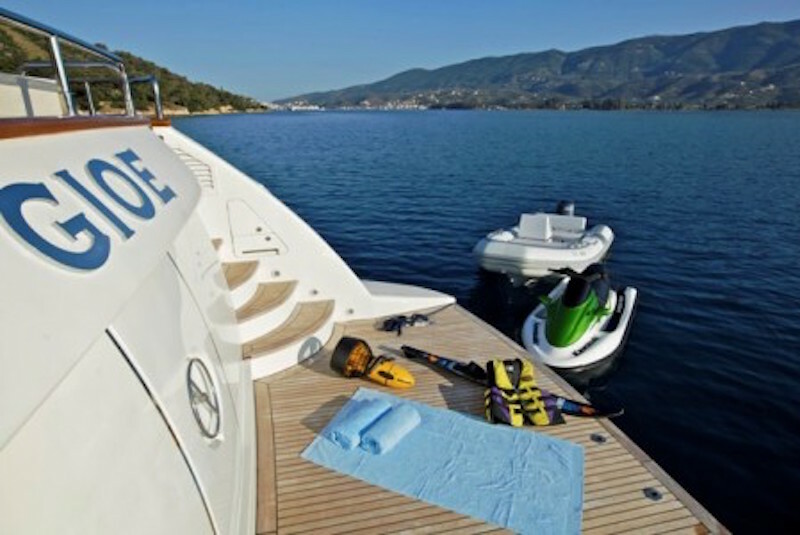 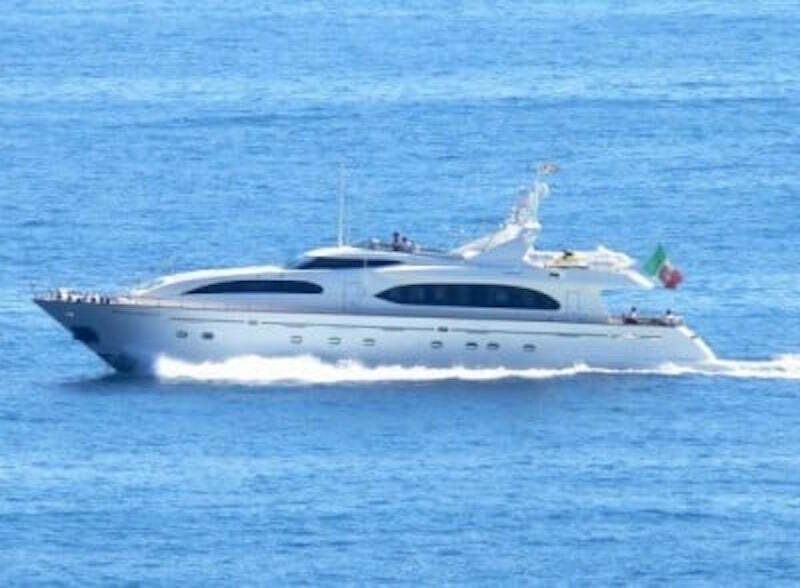 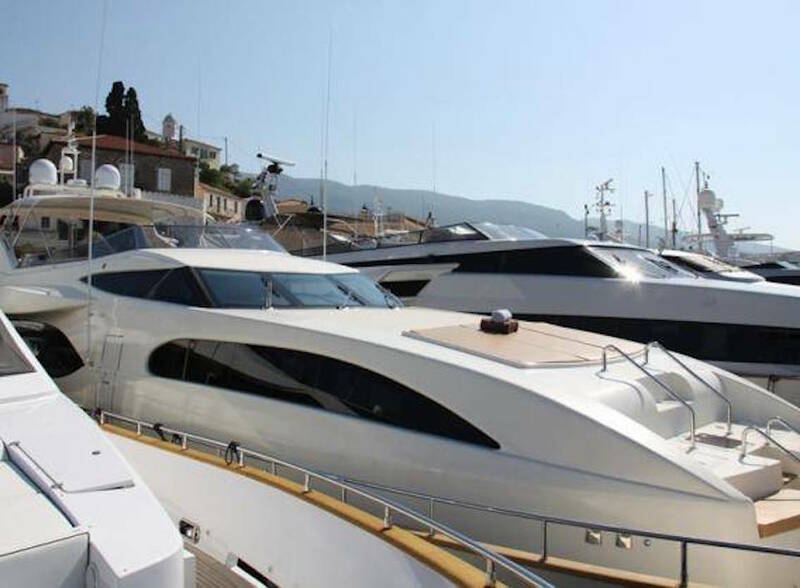 Luxury Motor Yacht GIOE offer the following Tenders & Toys: Novamarine 5.30m tender with Yamaha 60hp outboard, Kawasaki waverunner, Water Skis, Mono-Ski, Tubes, Banana, Wakeboard, Fishing Gear, Snorkelling Equipment. 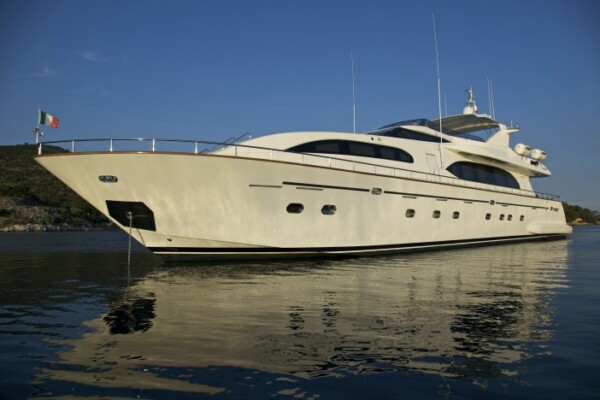 Communications equipment includes: 2 GPS Navigators, 2 VHF, Inter-com (GSM and GRC flit 33 connection), SAT Tel/Fax, Laptop/Computer in Wheelhouse, Internet Access, WIFI, and Printer. 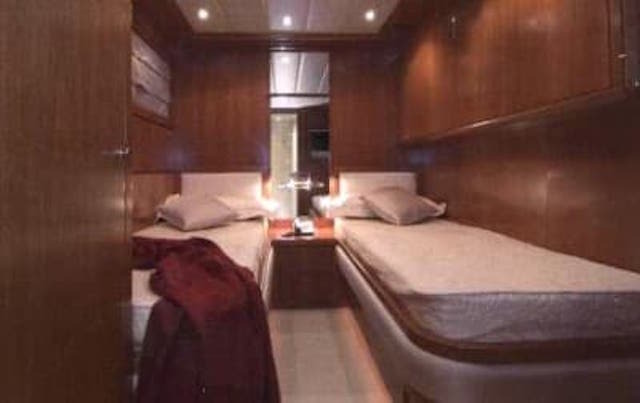 Audio Visual Equipment includes: Master Cabin: LCD SAT 26’ TV, DVD, CD entertainment, VIP Cabins: LCD SAT 26’ TV, DVD, CD entertainment, Twin Cabins: LCD SAT 20’ TV, DVD, and CD entertainment; Saloon: LCD SAT 32’ TV, DVD, VCR, CD, IPOD connected with the Stereo system, and Game board entertainment.